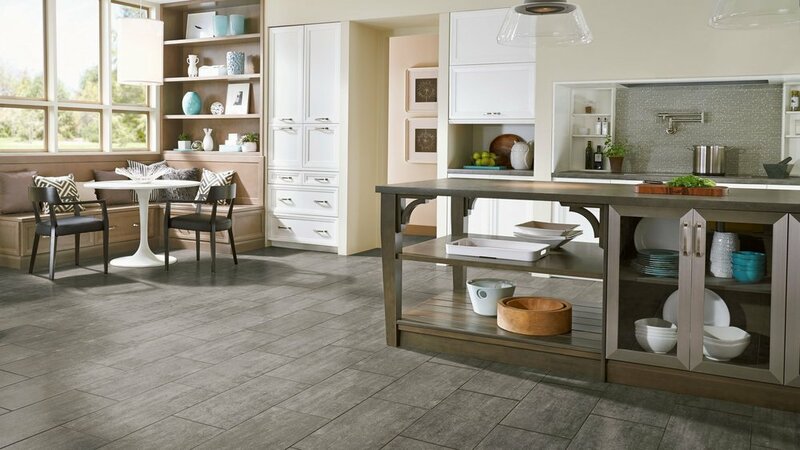 Alterna Engineered Tile flooring, created by Armstrong flooring, is an innovative alternative to traditional ceramic tile or natural stone flooring. It is durable, beautiful, warmer to the touch, softer under foot, and easier to clean than traditional ceramic tile or natural stone. Alterna Engineered Tiles are a 4.1mm glue down luxury vinyl product composed of 75% limestone making them extremely durable while still comfortable underfoot, because they are softer than natural stone or ceramic tile. Alterna Engineered Tiles are also topped off with a no-wax 5 mil urethane wear layer. Proudly American made, being manufactured In Kankakee, Illinois, these engineered tiles are composed of over 95% domestic content. Since these tiles are predominantly made from limestone, which is a natural resource that there is an abundance of, these tiles are also environmentally friendly. Each Alterna design has 32 unique visuals giving you a 32-tile pattern repeat- which helps to create the look of natural stone or tile. Alterna has been made to mimic the most popular hard surfaces and natural stones such as marble, travertine, slate, weathered metal, concrete, and linen, and there are many more styles available. Not only are there an abundance of tile-styles, there are also several colors, installation patterns, and sizes available making the possibilities endless. This is where you can really put your personal touch into designing your dream space. Check out all of the installation possibilities below. Where can Alterna be installed? Alterna comes with a lifetime limited warranty and a 5 year light commercial warranty. For a truly high-end custom stone look, consider this classic 3-way opus pattern. Pair elegant marble with a cool color scheme for a luxurious spa-inspired retreat. Blend different colors together to create a dramatic effect. Installing square tiles in a staggered brick pattern is a simple way to add geometric interest to your space. Introduce decorative tiles for a sophisticated touch. Alterna Engineered Tiles provide all the benefits of a Ceramic Tile or natural stone floor without any of the drawbacks. 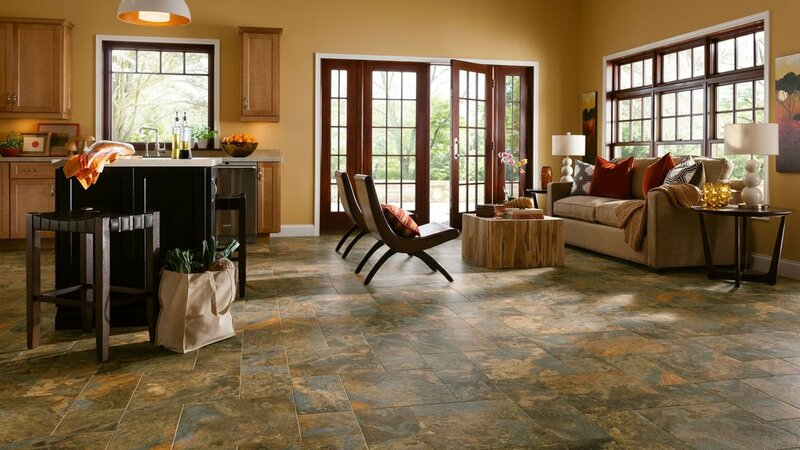 To learn more about Alterna Engineered Tiles give us a call at 417-883-4720, email us at flooring417@gmail.com or come see one of our commission free team members at our showroom located at 2516 W. Battlefield Rd in Springfield Missouri. We would love to help you design your new Alterna Engineered Tile flooring, backsplash, or feature wall!